As the population rapidly increases and new buildings seem to pop up daily, it can feel to many that Seattle is no longer their own. Who are Seattleites? Why are they here? 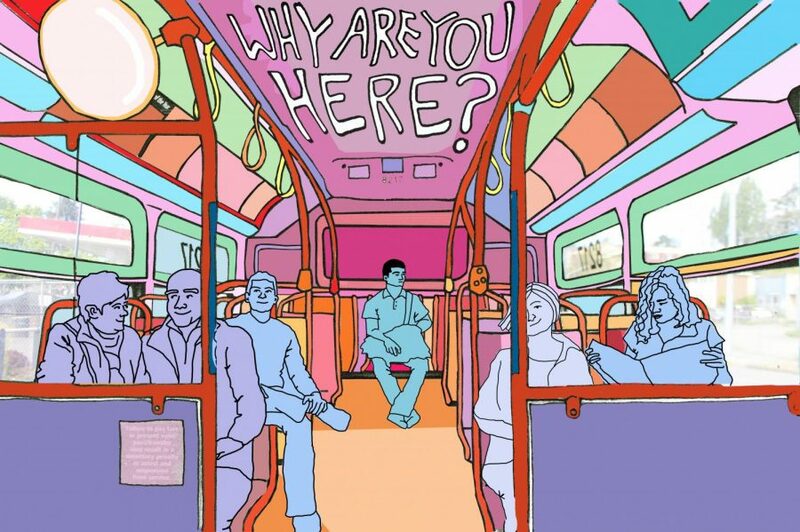 To start answering this question we chose to ride the arteries of the city– the metro bus. We rode the 48 bus from Garfield High School to the Mt. Baker Transit Station, and up to the University of Washington asking riders “Why are you here?” Through graphic multimedia we explored and illustrated the responses we received.